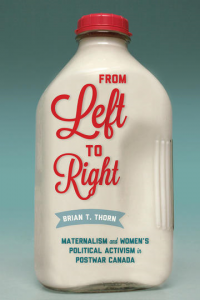 In this episode of the History Slam, I talk with Brian Thorn about his book From Left to Right: Maternalism and Women’s Political Activism in Postwar Canada. We talk about the book’s origins, the nature of women’s activism on both the left and right of the political spectrum, and the issues supported by those on both sides. We also talk about women’s participation in the political process and the book’s connection to the current events.